BBC Click – Visits our school! A visit between two different cultures! On Tuesday the 18th of March 3 reporters from the BBC brought 1 teacher and 2 students from Burntwood school to visit our class and see how we use technology and to learn from us. It was a visit between two cultures not only the difference in the use of technology but also the fact that they use school uniforms and the fact they go to an all girl school. Since the girls were younger than our students it is difficult to compare what we do in the classroom. 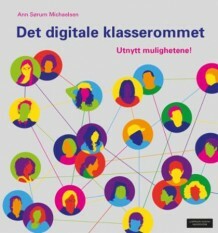 Not many schools in Norway are actively using computers in the classroom with students aged 13/14, but they are getting there! The result of this visit can be viewed on BBC World News and BBC News channel. The BBC’s technology programme, Click, is coming from Burntwood this week. While the presenter, Spencer Kelly, was filming around the school, two Year 9 students, Mary and Olivia, were at a school near Oslo to report on their use of social media in the classroom. What we do in our school! 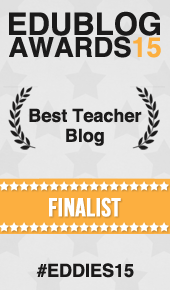 When working in class the students write on their blogs and get a lot of feedback. From the teacher, from the other students in class and from students all over the world. We also collaborate with a class in Alaska where we share ideas using Google Drive, posting videos, presentations and documents. In additions my students had some interesting questions and answers for the students in South Africa. I wish they had showed more of that and less of Facebook on the film, since we hardly use Facebook at all. It is mostly used for out of school activities. The focus was too much on Facebook, which to me is just an easy way to reach the students outside school hours, if that is necessary. Some teachers are concerned that the use of technology will be a hinder for personal contact between teacher and students. Too me it is the opposite. I walk around the classroom talking to my students all the time, we discuss issues and topics and I guide them with their work. No different than what most teachers do, I just don’t lecture much, instead I use outside sources to supplement our learning. And even if we don’t use textbooks, we still read books! The bottom line is making the learning relevant and interesting to the students! Previous Post: Lost in translation? Next Post: How does the use of technology enhance learning? world wide. We have philanthropic projects in a number of countries. Høres spennende ut det! Takk for hyggelig kommentar!